Upper Iowa University students, alumna and faculty members attending the 2018 IINSPIRE Conference in Coralville, Iowa, were (l-r) Md. Manzoor Murshed, associate professor of management information systems; Excellence in Mentoring honoree Dr. Rebecca Schmidt, UIU Assistant Professor of Biology; Dr. Katherine McCarville, UIU IINSPIRE Alliance Campus director/associate professor of geosciences; Elyse (Tyson) Hobson; Dwayne “DJ” Emsweller; Outstanding Alumni Award recipient Hayley Vaughn; Experiential Poster honoree Zory Hamblin; Omeiza Suleman; Experiential Poster honoree Erik Zorrilla; Mariel Galvan; Madelaine Quistgaard; Dr. Nigel George, UIU professor of mathematics and physics; Marisol Rodriguez. 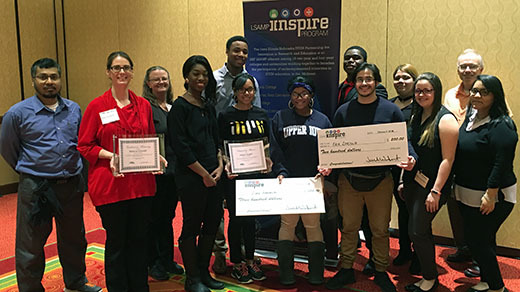 Upper Iowa University students, faculty and an alumna member were recently recognized at the annual Iowa Illinois Nebraska STEM Partnership for Innovation and Research and Education (IINSPIRE) Louis Stokes Alliance for Minority Participation (LSAMP) Conference in Coralville, Iowa. 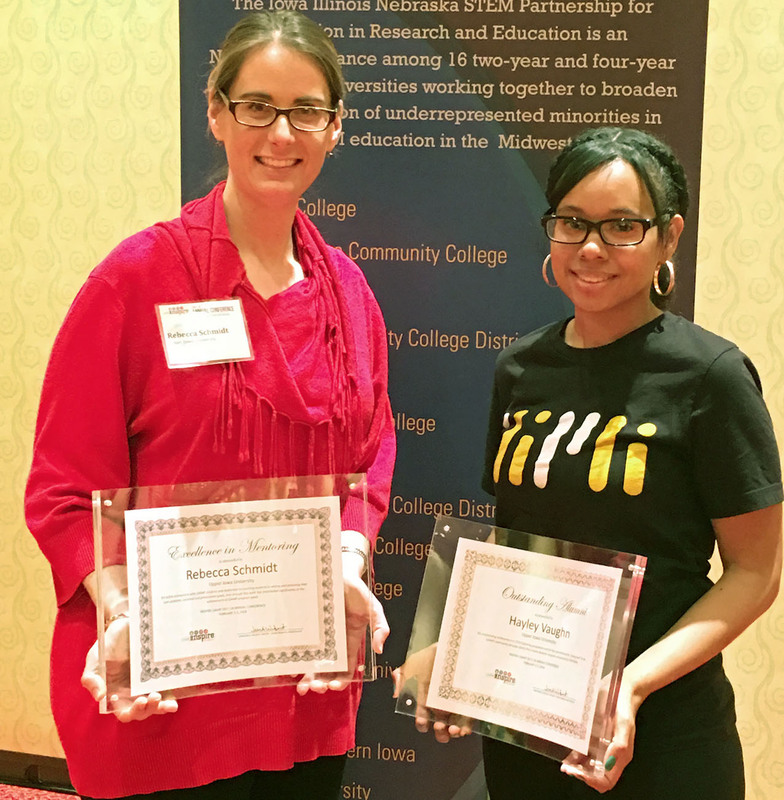 UIU Assistant Professor of Biology Dr. Rebecca Schmidt (left) was honored for Excellence in Mentoring and UIU alumna Hayley Vaughn was presented the Outstanding Alumni Award at the recent Iowa Illinois Nebraska STEM Partnership for Innovation and Research and Education (IINSPIRE) Louis Stokes Alliance for Minority Participation (LSAMP) Conference in Coralville, Iowa.